Saratoga Sale 2014 Begins Today; Yearlings Who are Worth a Look: The Saratoga Select Yearling Sale is scheduled for 7:00 PM ET Monday, August 4 and 7:00 PM ET Tuesday, August 5, 2014 at Saratoga. Hip numbers 1-82 are to be sold on Day 1, and hip numbers 83-165 are to be sold on Day 2. 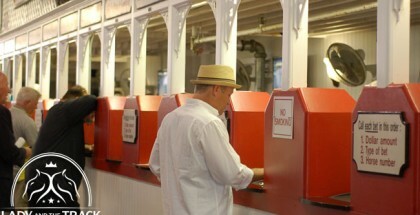 The Saratoga Sale begins today at Saratoga in New York at 7:00 PM ET. With the Saratoga Sale this coming week, I decided I would look back over the Fasig-Tipton catalog again, and I decided I found some more yearlings that have some very good bloodlines and families! Here are some of the ones I missed from my last article. Hip 7, a bay colt by Uncle Mo out of Flowers Athefinish, by Grand Reward. This colt is apart of the first crop for Uncle Mo, the undefeated two-year-old champion, who was the early favorite for the Kentucky Derby, before scratching just before the race. If any of his offspring are like their sire, this colt should be very good early in his career. We will never know how good Uncle Mo could have been as an older horse, due to his internal issues, so his babies will have to speak for him. This colt’s second dam, Golden Petal, produced 11 winners, including Golden Gorse, who produced In Seconds, who in turn, produced Carving (Any Given Saturday). Hip 16, a bay filly by Quiet American out of Glory Captured, by Purge. This filly in the first for Glory Captured, but further back in the family, we find that the 2nd dam, Cold Awakening, produced Recapturetheglory. Being by Quiet American, out of a Purge mare, this filly should be best suited for either surface, at around 8f. 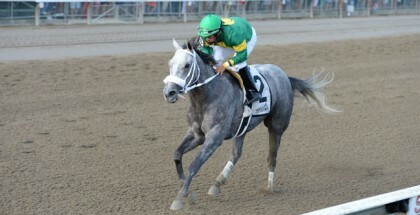 Both Quiet American and Purge captured the NYRA/Cigar Mile. Hip 23, a chestnut colt by Giant’s Causeway out of Historical Drive, by El Prado (IRE). This colt should take to the turf like a fish to water. The family hasn’t shown much, but this colt is a half brother to the sire Twinspired. Look for this one to be very effective on the turf at medium to longer distances. Hip 36, a chestnut colt by Malibu Moon out of La Maestranza, by Storm Cat. With Inbreeding to Mr. Prospector and Secretariat, this colt has all the right class about him, with bloodlines to match. His 2nd dam, Cash Run, won the Breeders’ Cup Juvenile Fillies and Davona Dale Stakes. Cash Run produced Step In Time, who was voted Horse of the Year, Champion Miler, and Champion Handicap Horse in Saudi Arabia, and was a winner in England. The colt’s 3rd dam, Shared Interest, winner of the Ruffian Handicap, produced Forestry, winner of the Kings Bishop and the Dwyer, went on to sire Shackleford. Look for this colt to have some speed, but be able to carry is a distance. Hip 53, a dark bay filly by Blame out of My Mammy, by Came Home. Only the second foal for My Mammy, we have to look further back in the pedigree for predictions about the filly. Her 2nd dam, Divine Dixie produced Blue Grass Stakes and Skip Away Stakes winner Bandini. If we look even further back, we find that the 3rd dam, Hail Atlantis, winner of the Santa Anita Oaks, produced prominent sire, Stormy Atlantic. Stormy Atlantic has since sired Up With the Birds, Storming Inti, Conquest Tsunami, and Stormy Lucy. This filly should be a very good two year old, and even better as she ages, just like her sire. Hip 81, a grey or roan filly by Tapit out of She Be Wild, by Offlee Wild. She Be Wild was a champion filly herself at age two, after winning the Breeders’ Cup Juvenile Fillies. This filly doesn’t have the best family lineage, but the 1978 Triple Crown Winner Affirmed sired her 3rd dam, Duck Trap. If we go back one more generation, we find LilyA’s For Real, who produced Sir Ivor Stakes winner Penn Fifty Three. Look for this filly to be a fast one, maybe relishing sprint distanced. 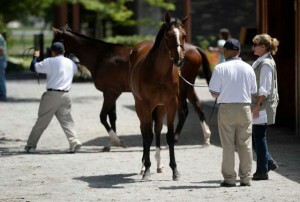 Beginners Note: a Hip Number is the way the yearlings are organized in the sale, in order of which they will be sold.